So that N = 10 × 0.5 × 2 × 1 × 0.01 × 0.01 × 10,000 = 10. Recently, Professor Paul Davies has made a different estimate with a range of different values in the Equation . His N is between 1 and a billion! I find Drake’s approach strange. 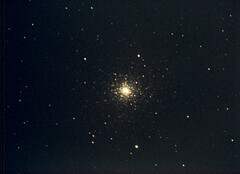 A more logical approach might be to ask how many stars there are in the Galaxy. If there are between 100 and 400 billion stars, if half of all stars have planets, if there is life on only one planet in each system, but if only one in a million of those planets develops intelligent life, then there are between 50,000 and 200,000 planets with intelligent life. Of course the values chosen for the Equation are highly questionable; they are merely wild guesses. However, one can question some more than others. The guess that, where stars have planets, two of them will harbour life is hardly justified from the example of the Solar System, where, as far as we know, only one planet (Earth) carries life. Even that change could halve Drake’s estimate to five. More importantly, these estimates seem to overlook the circumstances in which intelligent life has emerged on Earth. In particular, the value given to Fi (that intelligent life emerges on only one in a hundred planets where life has developed) is questionable. It is easy to assume that because we exist, intelligent life is common (see the popular belief in aliens). However, we should consider the peculiar circumstances that have allowed us to evolve. Although life appeared very early on Earth (at least only 500 million years after the planet’s birth), multicellular life did not emerge until about 600 million years ago (MYA), fish only 500 MYA, reptiles only 300 MYA and our species only about 500,000 years ago. So it may be that modern humans have existed for only about 0.1 per cent of the life of the planet and it is certain that our modern technological civilization has existed for only about 200 years (~0.00004% of the life of planet Earth). That is a chance of only 1 in 2.5 billion that anyone looking for an advanced technological civilization (ATC) on Earth between the planet’s birth and now would be successful. What does that say for our chance of finding another ATC now? Then consider the possibility that such a civilization will destroy itself. Nuclear war could have destroyed our civilization in 1962, before we even began looking for signals from another Galactic civilization (although not before our radio, TV and radar signals leaked out). This could lead to the conclusion that the chance of finding another ATC at this time is vanishingly small (Paul Davies allows for fi to be zero). The Equation does not appear to have made allowance for the fact that we owe our existence to the demise of the dinosaurs 65 MYA. It should not be assumed that such destruction does not threaten other planets, or that it does. Without that event, the dinosaurs, who had ruled for 180 million years would probably still rule the Earth. If life on other planets follows such a path, do we have to assume some equivalent calamity before intelligent life can emerge? If so, what odds do we put on it? Another important factor is our Moon, which is unusual in being so large and influential. We already believe that the Moon’s birth was the result of a catastrophic collision been the proto-Earth and another planetismal the size of Mars. How typical would such a collision be and what odds do we put on it occurring in a planetary system? If the result is a moon such as ours and such a large moon is unusual, then perhaps such collisions themselves are unusual. But does that mean that we owe our existence, inter alia, to the Moon? Professor Neil F. Comins asked himself what the implications would be if the Moon did not exist . There would have been many differences, including a shorter rotation period and a different chemical composition, but those that might influence the development of life include the possibility of a different tilt axis and instability of that axis. The Moon, besides gradually slowing Earth’s rotation, also stabilizes Earth’s axis. The lack of the Moon would mean smaller ocean tides, perhaps making the transfer of life from the oceans to land more difficult. It may also have meant more bombardment of Earth by asteroids and/or comets (the Moon has shielded Earth to some extent). This may have interfered with the development of life. Comins also thought that a Moon-less Earth (he called it ‘Solon’) would have a different atmosphere, with such a large amount of carbon dioxide that ‘life as we know it may never have been feasible’. It has already been observed that our civilization has developed in a balmy interglacial, but Professor James Hansen has recently drawn attention to the fact that (unusually) sea levels have been remarkable stable for the last 7000 years (the climate kept an ice sheet from forming in Canada but kept stable ice sheets in Greenland and Antarctica). He pointed out that, because our major civilizations have mostly developed on coasts, especially on river deltas, this may have contributed to the development of civilization. Repeated changes in sea level would have inhibited the development of civilization . Most anthropologists agree that bipedal hairless apes (humans) evolved out of many other varieties of hominins due to fortuitous climatic changes. Some believe that these forced our ancestors out of the trees onto the African savannah (the ‘Tarzan hypothesis’) and some believe that we evolved our special characteristics, not least of all our large brains, in an aquatic environmental excursion (hardly a normal evolutionary experience) . Either way, we appear to owe our emergence to random climatic fluctuations. How typical would that be of life on other planets? Some point to the explosion of the super-volcano Toba (Indonesia) about 70,000 years ago, which may have led to the extinction of many rival hominins and severely reduced our own numbers and created a bottle neck in our evolution. This catastrophe may also have been the trigger for our migration out of Africa, which itself may have led to the development of civilization. It is fortunate for us that no other super-volcano has erupted since (the next one to do so may be the end of civilization). Does it not seem that we have been lucky ? Or rather that we owe our existence to a series of fortuitous chance events that must be rare in themselves never mind in combination? If that is true, then we probably are a very rare phenomenon: an intelligent species that has developed advanced technology, even now venturing into space. My guess is that the chance of another such species emerging elsewhere in our Galaxy is almost nil and we may indeed be alone, even in the whole universe. The Eerie Silence: Are We Alone in the Universe? by Paul Davies (2010, Allen Lane). ‘The Earth Without the Moon’, Astronomy 19:2 (Feb 1991); later in What if the Moon didn’t exist? by Neil F. Comins (1993, Harper Collins, New York). Storms of My Grandchildren by James E. Hansen (Bloomsbury, 2009). The Aquatic Ape Hypothesis by Elaine Morgan (1997, Souvenir Press). Lucky Planet – Why Earth is Exceptional – and What that Means for Life in the Universe by David Waltham (Icon Books, 2014). Steuart is a science writer, a member of the ASE and a regular contributor to the Journal. The phrase ‘Big Bang’ was coined in 1949 by astronomer Fred Hoyle as a label for a cosmological model of the universe, although one with which he happened to disagree. However, the theory itself had an earlier origin. Many think that George Lemaitre, a Belgian Roman Catholic priest, astronomer and professor of physics at the Université Catholique de Louvain was the first to suggest cosmic expansion. In his 1927 report, ‘A homogeneous universe of constant mass and growing radius accounting for the radial velocity of extragalactic nebulae’, he proposed that the universe expanded from the finite static state imagined by Einstein. But only in 1931, at a meeting of the British Association on the relation between the physical universe and spirituality (sic), did he propose that the universe originated in a ’primeval atom’ (but this was 2 years after Edwin Hubble had demonstrated cosmic expansion). Many think it was mathematician Alexander Friedmann who, unknown to Lemaitre, proposed a similar solution to Einstein’s equations in 1922. However, what seems to be little known is the fact that both Friedmann and Leamaitre were forestalled by the American writer and poet Edgar Allan Poe. In 1848 (79 years before Lemaitre and 74 years before Friedmann), he wrote Eureka: A Prose Poem, also subtitled ‘An Essay on the Material and Spiritual Universe’. It was his last major work and his longest non-fiction work at nearly 40,000 words. It was based on a lecture he gave on the 3rd of February 1848 in the Society Library in New York entitled ‘On The Cosmography of the Universe’. He died the following year. Poe dedicated the work to Alexander von Humboldt, whose book Kosmos he must have read, at least the first two volumes. It was Humboldt who coined the word ‘cosmos’ (from the Greek kosmos) in the sense that modern cosmology uses it, to describe everything that exists in the universe, or the universe itself. In the volumes Poe must have read, he examined what was then known of the Milky Way, cosmic nebulae, and planets. The first volume was so popular that it sold out in two months. Eureka describes Poe’s intuitive conception of the nature of the universe with no reference to any scientific work done to reach his conclusions (well there were none). His general proposition was ‘Because Nothing was, therefore All Things are’. That is a bit vague, but it seems to suggest that the universe came out of nothing! Hasn’t modern science come to that conclusion? Indeed, he proposed that it had an origin: Poe contended that the universe filled with matter after a single, high-energy particle exploded and that, since the energy of the explosion is pushing matter outward, the universe must be expanding. Apart from suggesting a Big Crunch, Poe was the first to explain Olbers’ Paradox (the night sky is dark despite the vast number of stars in the universe); I wrote about this in the Journal 8 years ago . 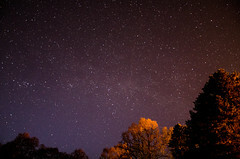 Poe claimed, as many do now, that the universe is not old enough to fill the sky with light. The universe may be infinite in size, he thought, (we think that now don’t we?) but there hasn’t been enough time since the universe began for starlight, travelling at the speed of light, to reach us from the farthest reaches of space. A Wikipedia page on the Paradox recognises Poe’s priority in this matter. Response to Eureka was overwhelmingly unfavourable and the lecture on which it was based received negative reviews such as ‘hyperbolic nonsense’, but one newspaper called in ‘a noble effort’. Many were bored by the lecture which evidently was too long and rambling. However, Poe considered Eureka to be his masterpiece. He believed that the work would immortalize him because it would be proven to be true. Indeed, much of what he claimed has been verified and some, like Arthur Eddington, praised it. Albert Einstein called it ‘a beautiful achievement of an unusually independent mind’. Eureka was published in a small hardcover edition in March 1848 by Wiley & Putnam priced at 75 cents. Poe persuaded George Putnam, to publish Eureka after claiming the work was more important than Isaac Newton’s discovery of gravity (Newton did not discover gravity, but he did explain it)! Putnam paid Poe $14 (3-4 hundred dollars today) for the work. Poe suggested an initial printing of at least one million copies, but Putnam settled on 750, of which 500 were sold that year. The book can still be bought in various editions and it can also be read online . The National Library of Scotland has two copies, one of them the original 1848 edition, apparently once owned by the poet Dante Gabriel Rossetti. What Poe suggested in this inspired work, with no antecedents, except perhaps Humboldt, is astonishing in its prescience. He deserves more recognition for his insights. Finally, Poe has a Scottish connection. He was briefly at school in Irvine in 1815 when the Allans, his foster family, visited Britain. Let’s celebrate him. Eureka by Edgar Allan Poe, 1848. For an analysis of the work, see Eureka, an annotated edition by Stuart and Susan F Levine, University of Illinois Press, 2004. This article is based on an illustrated talk given to the ASE by Steuart Campbell on 4 November 2016. Steuart is a member of the ASE and a regular contributor to the Journal. Almost every Christmas an astronomer attempts to explain the Star of Bethlehem. The Sky at Night team did so in their programme broadcast on 2015 Dec 30. 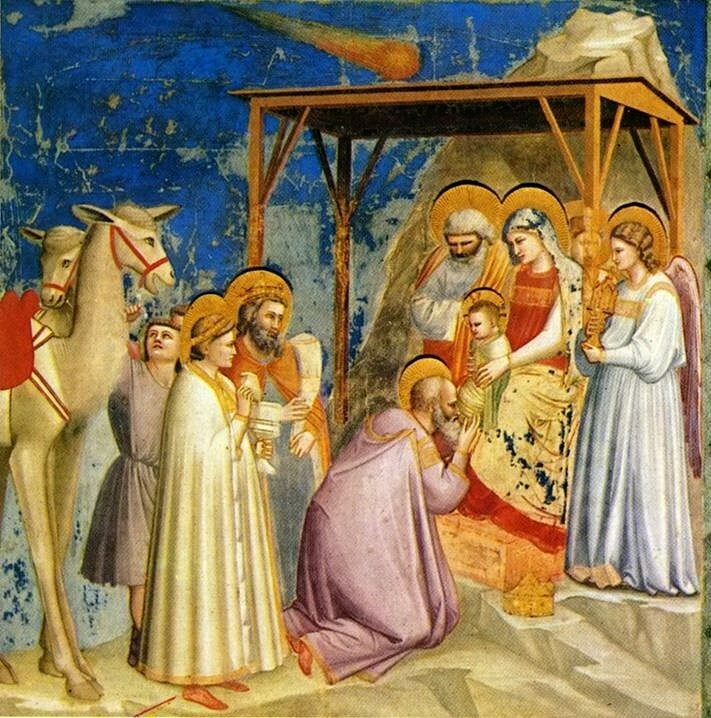 They concluded that it was most likely to have been a comet and showed Giotto’s painting of the Nativity with a comet in the sky (see below). Other artists portraying the Nativity usually just showed a distant star. 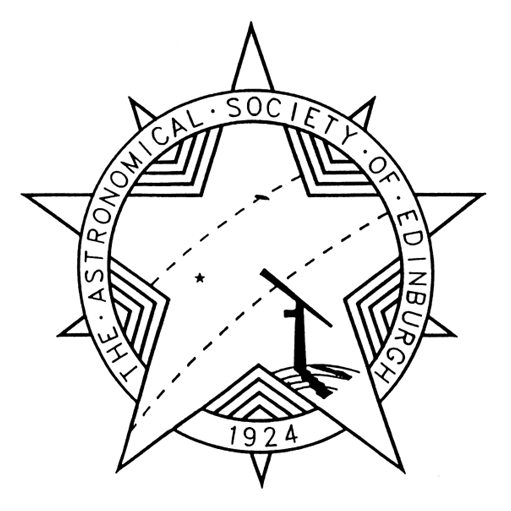 I am a member of the ASE because I am interested in astronomy and cosmology. But I also have an abiding interest in the origin of Christianity and the life of Jesus. This is the result of a youth misspent as a Christian, a religion I abandoned a long time ago. This interest deepened until I found that I could write a book on the subject, which covers all aspects of the gospel story (see The Rise and Fall of Jesus, by Steuart Campbell). Necessarily the book examines Jesus’ birth and the story of the Star of Bethlehem. Now when Jesus was born in Bethlehem of Judæa in the days of Herod the king, behold, there came wise men from the east to Jerusalem, saying, Where is he that is born King of the Jews? for we have seen his star in the east, and are come to worship him. When Herod the king had heard these things, he was troubled, and all Jerusalem with him. And when he had gathered all the chief priests and scribes of the people together, he demanded of them where Christ should be born. And they said unto him, In Bethlehem of Judæa: for thus it is written by the prophet,…Then Herod, when he had privily [secretly] called the wise men, enquired of them diligently what time the star appeared. And he sent them to Bethlehem, and said, Go and search diligently for the young child; and when ye have found him, bring me word again, that I may come and worship him also. When they had heard the king, they departed; and, lo, the star, which they saw in the east, went before them, till it came and stood over where the young child was. Several things about this account should trouble astronomers. Does the account mean that the magi saw the ‘star’ in the east, i.e. rising, and followed it during a night as it travelled west? Or does it just mean that, being in the east themselves (Arabia? 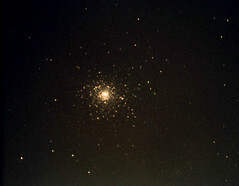 ), they saw the ‘star’ in the west, over Palestine. If the latter, the ‘star’ would have set before they even came to Jerusalem. It is not clear. The question of the time of the appearance of the ‘star’ is also obscure. No answer is given to this question and one wonders how it could be answered. Herod seems to have thought it significant, but we are not told why. Most puzzling of all is the idea that the magi could follow the ‘star’ to identify a particular building in Bethlehem. Astronomers especially know that a celestial object or phenomenon cannot be identified with a particular location on the surface of the earth. Perhaps they are ignorant of this account or choose to ignore it as they search for any celestial phenomenon that might explain it. The entire confused account should alert astronomers to the possibility that it is unreliable and that they might not be looking for a real ‘star’. It is important to understand that the two accounts of Jesus birth, one here in Matthew and another incompatible one in Luke’s Gospel are additions to the first Gospel, that of Mark. Both Matthew and Luke, took Mark as their basis and made additions to give Jesus an origin and background commensurate with his later deification and to elevate him the status of a Saviour God at least equal to contemporary such gods. The obvious comparison is with Mithras, the god of the Roman Army. Indeed, Matthew may have borrowed from the Mithraic books, which, it is reported, tell how, when Mithras was born, a star fell from the sky and was followed by Zoroastrian priests called ‘Magi’ on the way to worship him (by the way, Mithras birthday was Dec 25!). Neither Mark’s nor John’s Gospel know anything about Jesus’ origin. Biblical scholars believe that the entire Birth Narratives of Matthew and Luke are inventions, for the purpose explained above. Matthew in particular, writing for the Jewish community in Alexandria, was at pains to show fulfilment of Jewish prophecy, or at least to show links between Jesus’ origin and the Jewish Scriptures. Consequently he may have borrowed from a Jewish apocryphal book like The Testament of Levi (one of the Jewish patriarchs). In that book, in a description of the last days (18:3), one finds the statement that ‘his star shall arise in heaven as of a king. Lighting up the light of knowledge as the sun the day’. Also, in 24:1, the statement that ‘shall a star arise to you from Jacob in peace’. One can even see forecast of a star in Numbers 24:17 (‘There shall come a star out of Jacob’). In the Old Testament, the word ‘star’ often stood for the Messiah. Jewish readers would easily see the connection and be persuaded that Jesus really was the Messiah, the point Matthew was trying to convey. I understand that The Talmud, a central text of Rabbinic Judaism, contains a statement that ‘when the Messiah is to be revealed a star will rise in the east…and seven other stars round it will fight on every side’. It is common knowledge that ancient peoples saw celestial phenomena as signifying or celebrating some important event, such as the birth of a king, on Earth. It is not so obvious, but equally logical, that an important historical Earthly event must somehow have been reflected in the sky. Consequently, even though nothing appeared at the time, such an event was easily invented to convince people that the event described had great significance. Miraculous events were often invented to accompany the births or deaths of Roman Emperors. Such was the case here. Believing that Jesus was the expected Messiah, Matthew invented a celestial event to convince his readers of Jesus’ importance. Tiberias’ 15th year was the year we call, using Dionysius’ system, 28 CE. Making allowances for the period between the appearance of John and Jesus’ mission, his birth must be place in the year 1 BCE (there was no year zero). There is no reason to abandon Dionysius’ calendar and every reason to eschew the idea that he made a mistake. Consequently, even if there had been a celestial phenomenon at the time of Jesus’ birth, astronomers have been looking in the wrong time. The mistake made by astronomers is a classic example of ‘the law of the instrument’ or over-reliance on a familiar tool. It means that astronomers have been looking at the biblical record only from their own point of view, ignorant of the fact that the record does not lie within their competence. There are other examples of experts in one discipline believing that they can explain something that lies in another discipline. In this case, astronomers have seen what appears to be an astronomical record and assumed that they would be able to explain it. But the star is imaginary. It never really existed. Please remember this when you next hear, as you will, of an astronomer trying to explain The Star of Bethlehem. This article is based on a talk given to the ASE by Steuart Campbell on the 8th of January 2016. Steuart has been a member of the ASE for many years and our thanks go to him for sharing with us his theory on the Star of Bethlehem.